Does The Cold Rain Actually Make You Sick? There is an old philosophy that people believe to be true but in fact is not true at all. Has your mom ever told you not to go out and play in the rain because you’ll catch a cold? Everyone thinks that there is an association between being in the cold rain and catching a cold. It seems to be accurate because whenever you’re out in the cold rain you end up feeling sick or having symptoms of a cold such a sore throat or stuffy nose. It is interesting in fact that you actually cannot directly get sick from being in the cold rain. This topic first interested me when a family friend came up to State College for a football game. I met up with them before the game to have breakfast and it had been raining all morning. At the end of breakfast, they asked me if I was going to the game. I told them that I had been sick all week long and I wasn’t sure if I would go to the game because I didn’t want to get sick again after standing in the cold rain for the football game. This friend of mine proceeded to tell me that being in the cold rain would not get me sick. I didn’t believe what he was saying so I did some research to find out the truth. I soon found out that he had been partially right. Realizing that what I have always thought to be true was actually not completely true I decided to figure out why and how that could be. 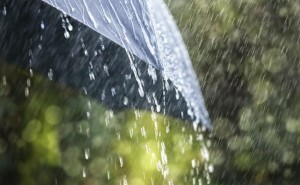 The reason people associate the two, sickness and rain, is because of the symptoms experienced post being in the rain. It turns out that if someone starts to feel flu-like symptoms, it is because they have already previously been exposed to those symptoms even though they could not feel it yet (Halder). A person can carry a sickness in them and not have symptoms, but when something like cold weather or rain occurs, that person’s body will allow that sickness to develop its symptoms, i.e. causing someone to feel sick (Jake). Among my research, I found that many people who have wondered about the same topic actually tested it out themselves and said things like “I stood in the freezing rain for hours and I didn’t get sick”. I found a study that tested this theory in a randomized control trial. During this study, professors from Cardiff University’s Common Cold Center brought together 180 volunteers during the flu “season”. The first half of volunteers were instructed to place their feet in a bowl of ice and cold water for 20 minutes. The second 90 participants, the control group, were instructed to place their feet in an empty bowl for 20 minutes. After a couple of days they recorded that almost a third (29%) of the participants who had chilled their feet in ice and cold water had developed a cold and only 9% of the control group had developed cold symptoms (Dumb Scientist). However, it was not recorded weather or not any of the participants had been exposed to or already had the virus but didn’t experience any symptoms. When first researching this topic I found that being in the cold rain does not make you develop a cold, germs do. The transfer of germs is the reason why we get sick but having those germs in our system already without having symptoms and then being in the cold rain or cold weather will help those symptoms come alive. It is true that we may not have obvious symptoms of a cold but being exposed to coldness will trigger them to happen, but it is very hard to have a true randomized control trial to prove this. In essence it seems unethical to get a bunch of volunteers together and expose them to sickness. It also seems impossible to collect accurate data considering there is no true way to measure if someone has been exposed to a cold already with underlying symptoms and no way to compare them in every person. It is obvious that there is some sort of link between being out in the cold rain and getting sick, but whether or not they are directly related is unknown without considering any confounding variables, which in this case are hard to measure. It is however easy to conclude that this is just another topic of science that is left to be questioned. “Dumb Scientist – Cold Weather Really Can Make You Sick.” Dumb Science. N.p., 5 Dec. 2008. Quora. N.p., 13 Aug. 2014. Web. 10 Oct. 2016. Athletics, 13 Dec. 2014. Web. 10 Oct. 2016. I was intrigued by this blog post because I have always thought that being in the rain could be a reason why one could catch the common cold. In your conclusion, you state that the transfer of germs is the reason why we become sick in the first place. 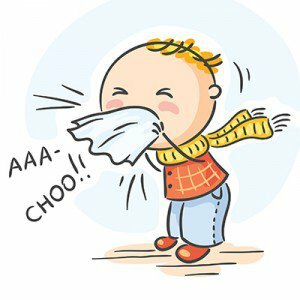 My question now is how long can germs from a common cold stay active after infected people sneeze? According to the Mayo Clinic, these germs may remain infectious for a few hours. This depends on where the germs fall though. There are other factors such as temperature that can determine how long these germs stay active outside of the body. If you would like to find out more information from the Mayo Clinic in regards to my question, please follow the link below. I have heard that rumor SO many times! As a kid, all the adults in my life would tell me that playing in the rain would make me sick. Teachers, parents, even random adults on the street, you name it! I thought this post was interesting because personally, I have definitely noticed a correlation between being out in cold weather, and getting sick. I’m glad that you were able to explain that the weather doesn’t call sickness with such ease throughout your post, otherwise I would have been confused. I never would have guessed that the cold weather simply just made our cold symptoms more noticeable. Now, I feel a little silly because it just doesn’t make sense that the rain could get us sick- everyone would be sick all the time, especially in a place like happy valley. I think this is a great example of the preconceived beliefs people have about certain things that can scientifically be proved false. I also liked that you questioned the study’s conclusion by bringing up any lurking variables. I think third variables could definitely be at large when it comes to this experiment, because the researchers didn’t take into account if the participants were already sick. This might even be a reason to throw out the conclusion of the study, because this variable seems like one that really should be accounted for. Here was an interesting article I found, titled Does working out in the rain make us sick? This post again mentions how the actual weather does not make us sick, but being exposed to cold or rainy weather makes the symptoms of previous infection much more obvious !